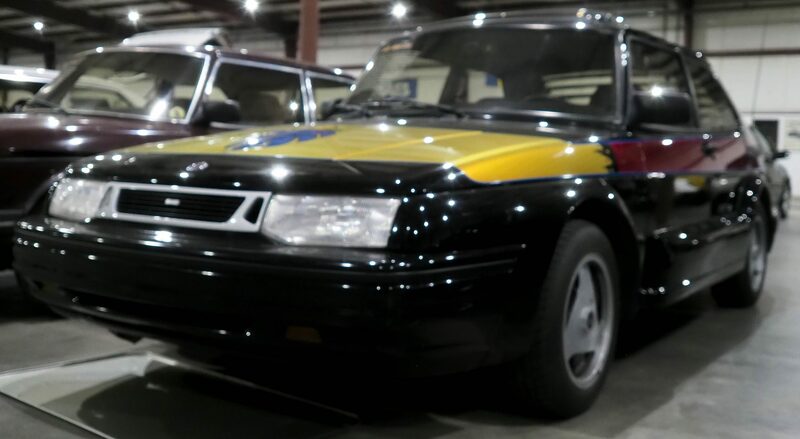 A Saab community favorite, this car is the brain-child of Chuck Andrews from Princeton, Minnesota. 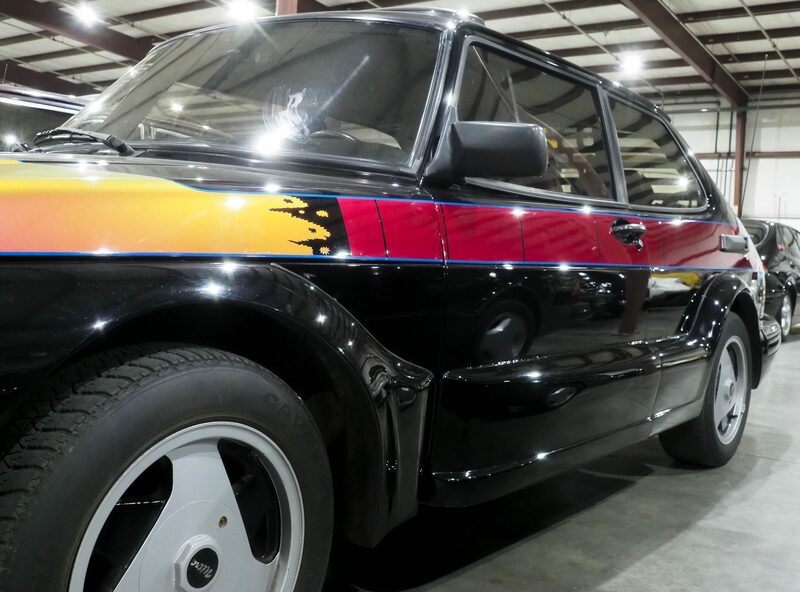 He was a key figure in the Saab community for 43 years. His business was ‘Andrews of Princeton’, which he ran with his family. Chuck decided to make a centerpiece, to take to the Saab Owners Convention’s around the country. 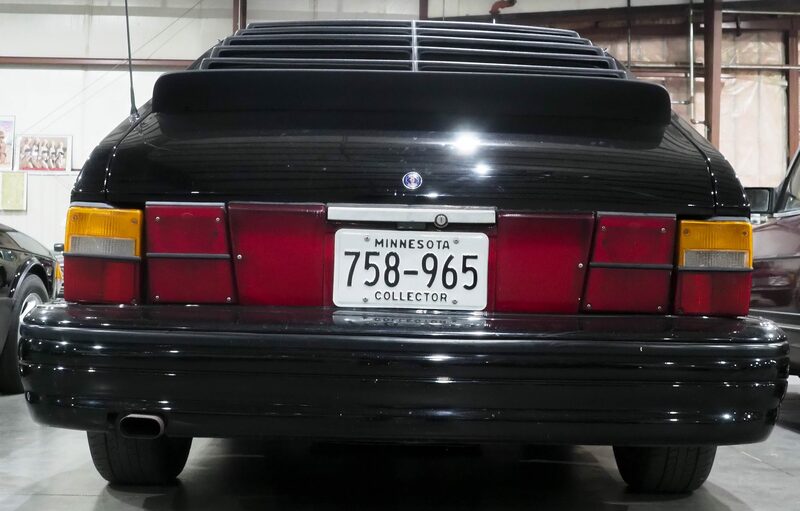 He custom made all the body panels, front bumpers, grill and headlights. 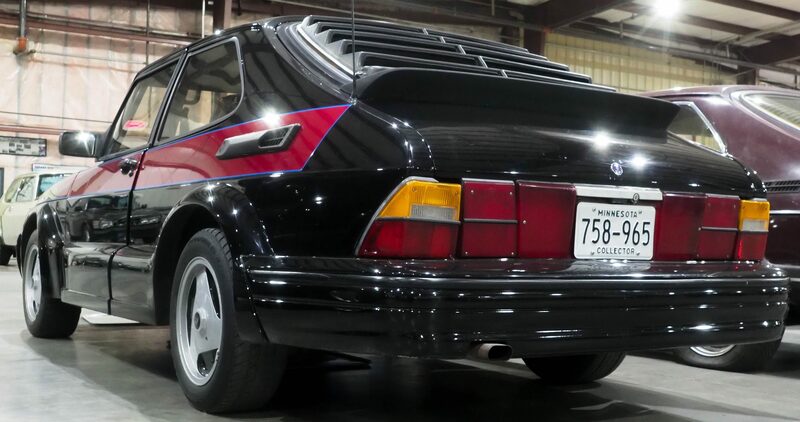 They swapped in a 16 valve engine but left the existing CIS injection. 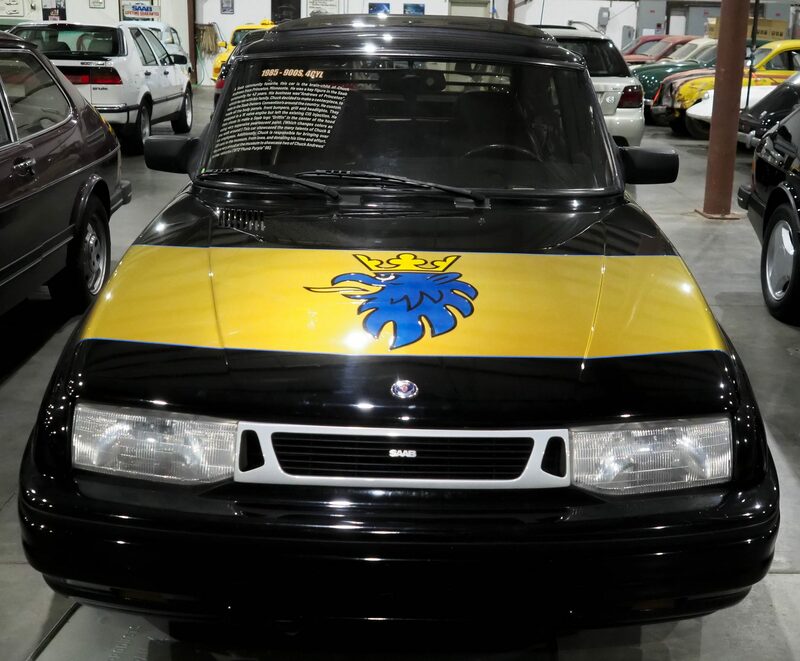 He then chose to make a Saab logo ‘Griffin’ in the center of the hood using very expensive pearlescent paint. (Which changes colors as you walk around!) 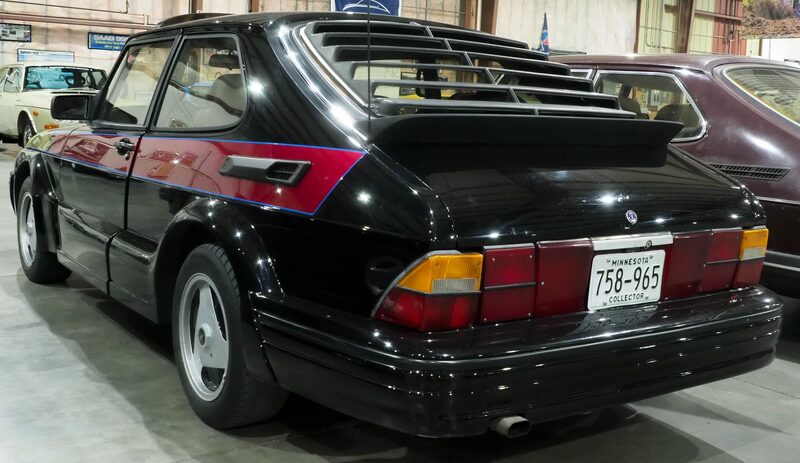 This car showcased the many talents of Chuck & his employees. 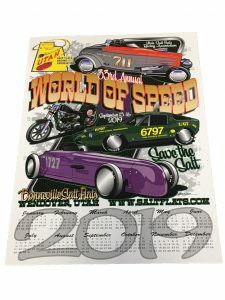 Additionally, Chuck is responsible for bringing over 100 cars to the museum, from Iowa, and donating his time and effort. 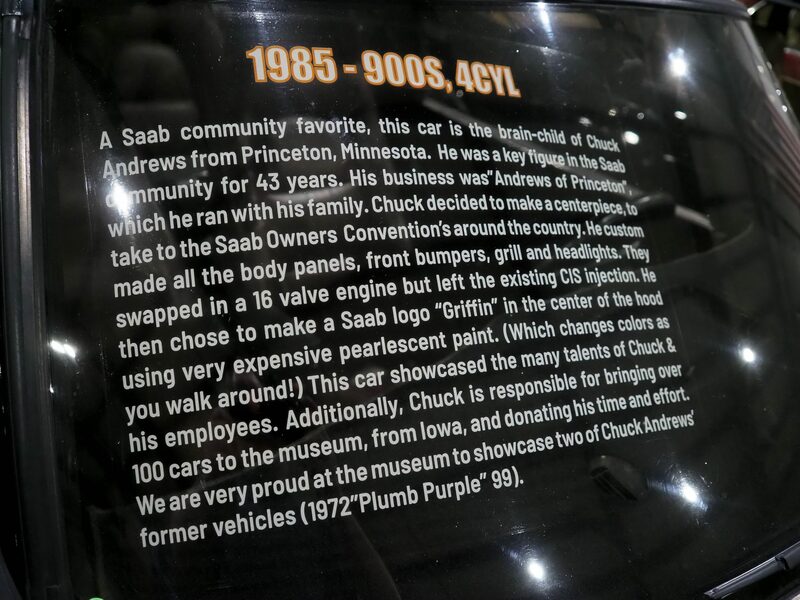 We are very proud at the museum to showcase two of Chuck Andrews’ former vehicles (1972 ‘Plumb Purple’ 99).